VW is also likely to announce plans for a portfolio review, which could lead to the sale of non-core assets, said the people. 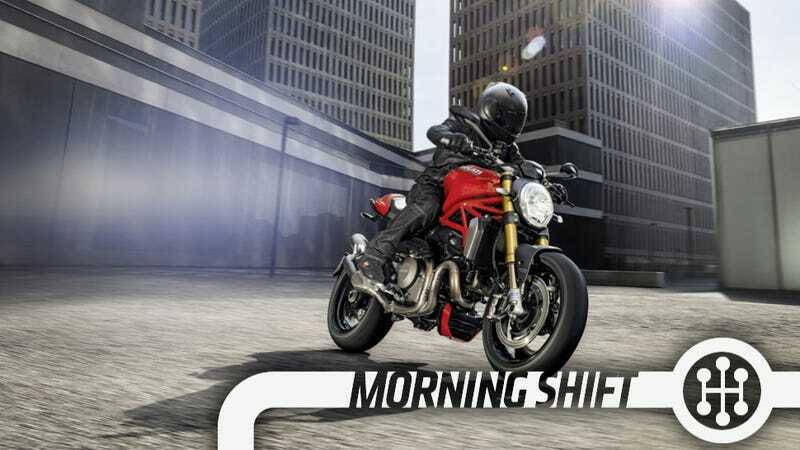 While no decisions have been made on which assets are expendable or what the time frame might be, ones that could end on that list include Ducati, the MAN Diesel & Turbo business and propulsion specialist MAN Renk, said the people. An initial public offering of the trucks business, which includes the Scania and MAN units, could also be considered down the road, one of the people said. Ducati will probably survive, whether it’s a part of Volkswagen or not. Let’s hope that if VW sells it, Ducati ends up in good hands. You’d be entirely forgiven for thinking that all Land Rovers are made in England, a place of cheese and shires and strong levels of cultural alcoholism. But the truth is they haven’t all been made in England forever. Over the years, some of the SUVs have been made in Jordan, Malaysia, Australia, China, and India. Now, add Brazil to the list. The new factory in Itatiaia, Brazil, will make the Land Rover Discovery Sport and Evoque for the Brazilian market. (Don’t worry, Americans, that means most of your stuff will still come from England.) The cars are pretty popular in Brazil, with Land Rovers accounting for 30 percent of the mid-size premium SUV market, according to a company press release. Jaguar Land Rover spent $340.5 million on the plant, which will employ 400 people and comes with its own orchestra. Also, it is near a national park. “We are in talks with the Russian government to verify whether the economic requirements for local car production are fulfilled,” a Daimler spokeswoman said. The automaker aims to assemble as many as 30,000 SUVs per year from imported kits in Russia, where the company plans to invest about 200 million euros ($224 million), Germany’s business daily Handelsblatt reported on Tuesday, citing unnamed industry sources. While Russia’s economy overall is in the tank, wealthy Russians are still doing okay because of course they are. And with the ruble fluctuating like crazy, the Wealthies want to stash their currency in the form of hard goods, like luxury cars. Meaning there’s still a market for Mercedes. Uber has hired Morgan Stanley, Barclays PLC, Citigroup Inc. and Goldman Sachs GroupInc. to sell a leveraged loan of $1 billion to $2 billion to institutional investors, people familiar with the matter said. The company plans to issue the debt in coming weeks, some of the people said. There is no guarantee the deal will take place. The move follows Uber’s sale of a $3.5 billion equity stake to the investment arm of Saudi Arabia—part of a $5 billion funding round that was the largest single injection into a venture-backed company—and underscores the cost of its quest for global market share. The new loan would bring to roughly $15 billion the amount raised in debt and equity by Uber, which has been valued at $68 billion. As a reminder, Uber makes a program for your phone that lets you hail a cab. It is very much akin to what we would do in Olden Days, where you would stick your arm up in the air. Uber is worth $68 billion. Toyota’s massive new North American headquarters in Plano will draw about 25 percent of its electricity from a giant 7.75-megawatt solar system, the company said Monday. It will be one of the largest solar-generating systems in Texas, Toyota said. According to this article, one megawatt can power about 650 homes, which means Toyota’s building the infrastructure for enough clean energy for a little over 5000 homes. On this day in 1986, driving legend Richard Petty makes the 1,000th start of his National Association for Stock Car Racing (NASCAR) career, in the Miller American 400 in Brooklyn, Michigan. He became the first driver in NASCAR history to log 1,000 career starts. Neutral: Who should buy Ducati? I’m not a “bike person,” per se, so I don’t really know the best answer to this. Who do you think should buy Ducati? Who do you think would be the best steward for the brand?